Thick, warm, creamy and delicious. How can you believe it is so healthy for you. 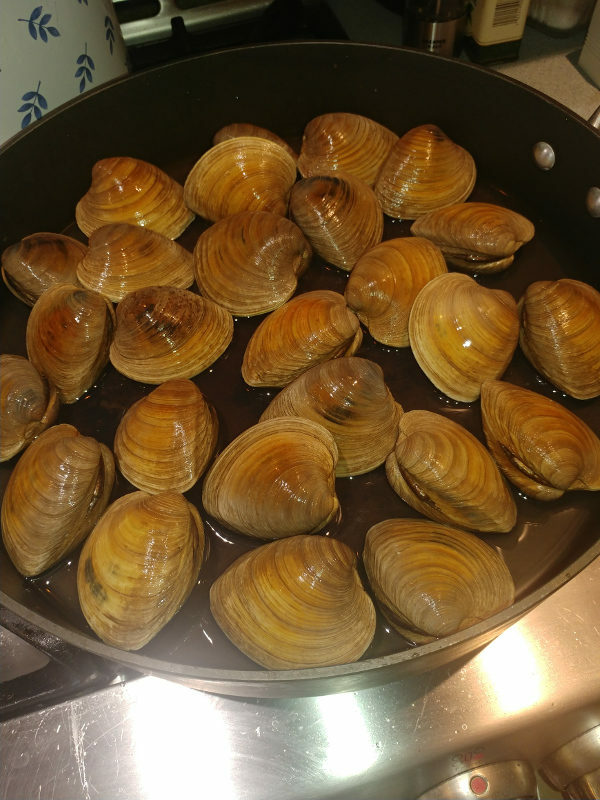 Place clams in a large bowl. Cover with water. Place in the fridge for 3 to 8 hours. The clams will spit out the sand. When ready, scrub the clams with a brush and place in a colander. In an iron skillet place the bacon and cook until crispy. Remove the bacon onto paper towels. 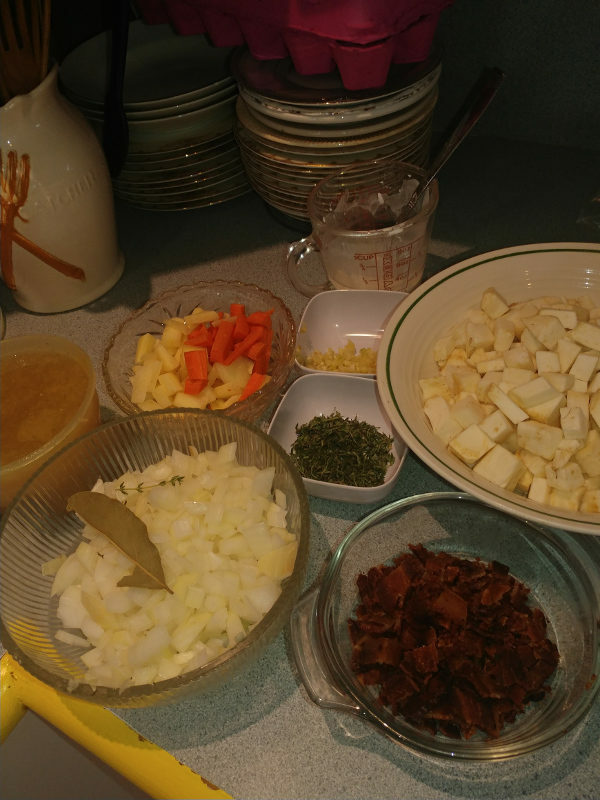 Place the bacon grease in a large soup pot. Add onions and carrots and cook for about 3 to 5 minutes on medium heat until tender. Add garlic and cook a minute more. Turn off the heat and set aside. In a large pot with a tight fitting lid, place the clam juice and the water. Then place the clams around the pot. Cover and cook on high for about 10 minutes until all clams open. (if a clam does not open, throw it away as it is a bad one. Fortunately all mine opened.) Using a slotted spoon remove into a colander inside a bowl. and set aside. Add the broth from the clams into the onion mixture. Add the chicken broth, the thyme, the coconut milk, the bay leaf and the celeriac. 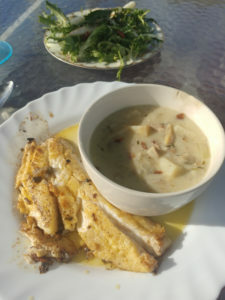 Cook on medium heat until the celeriac is tender about 30 minutes. 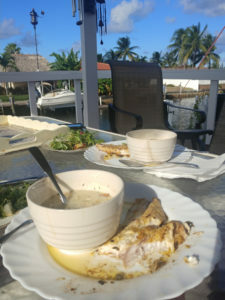 Mix the cornstarch with 2 tbsp water and pour into soup and allow to cook until thickened. 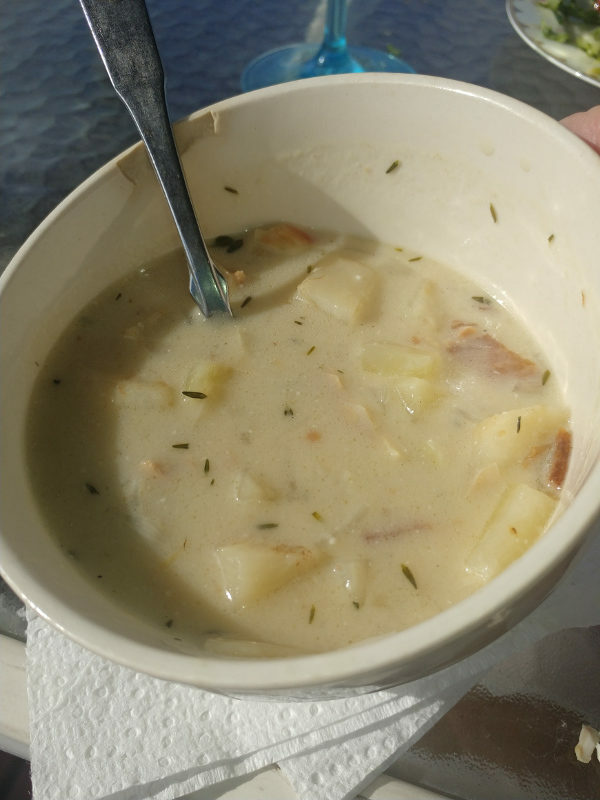 Chop the bacon and stir into the chowder and serve.